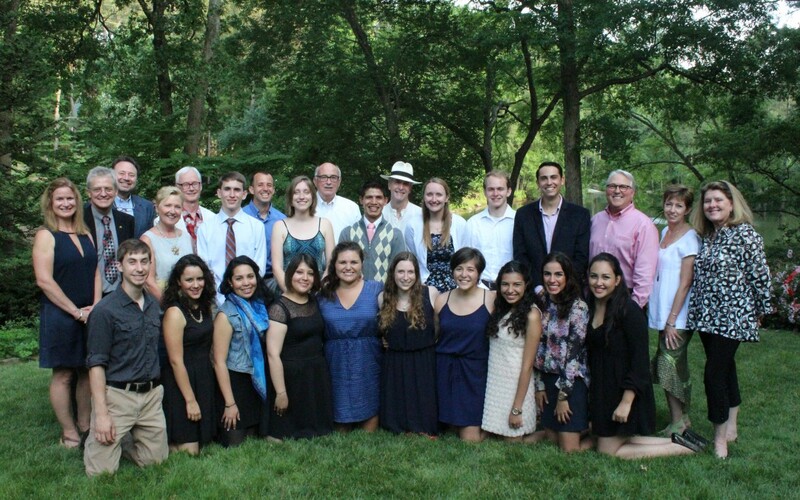 In late May, Fletcher Foundation hosted an evening with the Caldwell Fellows from NC State and students from their partner university UPAEP in Puebla, Mexico as they began their Vecinos Leadership Program together this summer. Launched last year through Fletcher Foundation support, the five week program brings together ‘vecinos’, (Spanish for neighbors) for two weeks in North Carolina followed by three weeks in Mexico. The students create a learning community and develop leadership skills through direct engagement in real-life challenges, relationship building, and guided reflection. – Coursework in leadership and entrepreneurship. – Engagement in leadership for social change through experiential learning. – Cultural immersion with home stays, regional food and arts. – Immersion in the economic, political, educational and social issues between the US and Mexico. – Guided individual and group reflections, verbal and written. To learn more visit caldwellfellows.ncsu.edu.